I have a confession to make. And I hope you still like me and want to be my friend after you hear it. I don’t really like cake all that much. Gasp! And if I had my druthers (seriously one of my favorite words ever!) I would rather have a bowl of cereal as a treat than a bowl of ice cream. Which leads me to my next confession. Sometimes I mix my cereals. I hope all of you cereal purists will still be my friends too! A little bit of a variety of cereal all in one bowl is just divine. Like a cereal smorgasbord. Now my son is mixing his cereals too and my husband claims it is all part of my master plan. I’m not exactly sure why I would prefer cereal to cake or ice cream. But maybe it has something to do with loving things that are more thick…dense…and a bit chewy. Now, don’t get me wrong, I love a good Dairy Queen blizzard. But, again, it’s dense…and thick…and creamy…and with chopped up Heath bar mixed in…oh my stars…uh oh…now I’m craving one!! But, I digress. I’ve recently discovered the joys of Greek Yogurt which is not only healthier for you but has that wonderful thickness I love so much. My most favorite of all is Dannon Oikos Vanilla Greek Yogurt. In my opinion, not all Greek Yogurts are created equal and this one has such a creamy texture to it. We’ve had a lot of ice cream in our house lately due to the plethora of birthdays and end of the school year celebrations but frankly they hold no appeal for me. But one night I wanted something that felt just a bit more like a “treat” and I wondered if it might just be possible to take my love for Greek yogurt to the next level. So I made vanilla chocolate chip frozen Greek Yogurt. And let me tell you, the love didn’t just go up one level, it went through the roof! I may or may not have licked the bowl. I also may or may not have closed my eyes a few times while eating it just to fully appreciate the depth of flavor. And my husband may or may not have looked at me like I was crazy. But, I’m used to getting that look every time he sees me pouring a little bit from each cereal box into my bowl. *You could also use fresh berries which have been frozen in advance. Use a strainer to remove liquid from yogurt. It will not set well otherwise. Mix together in a medium bowl yogurt, sugar and honey and then stir in the chopped chocolate chips. Using a mixer, blender (I use my immersion blender) blend well for 1-2 minutes. Pop it in the freezer for approximately 2 hours. So do you still like me and want to be my friend even though I’m not crazy about cake? I think if you tried this you might just want to call me your BFF and write in my yearbook that you hope I have a ‘rad’ summer and ‘stay tan’. 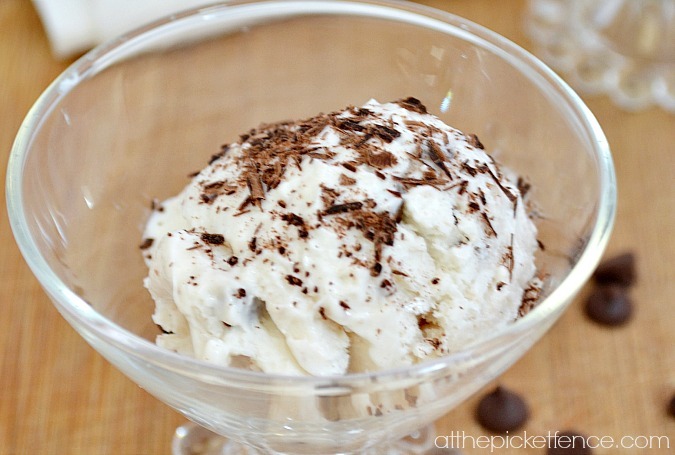 21 Comments on "Homemade Frozen Greek Yogurt!" This is great!! When you say 1 carton, are you referring to the large tub? Sounds like a yummy treat. 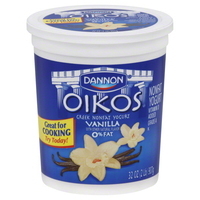 I’ve been wanting to make the switch to greek yogurt…I’ll have to give it Dannon’s a try. Ummmmmmmm we love frozen yogurt, so am sure gonna have to give this a try. 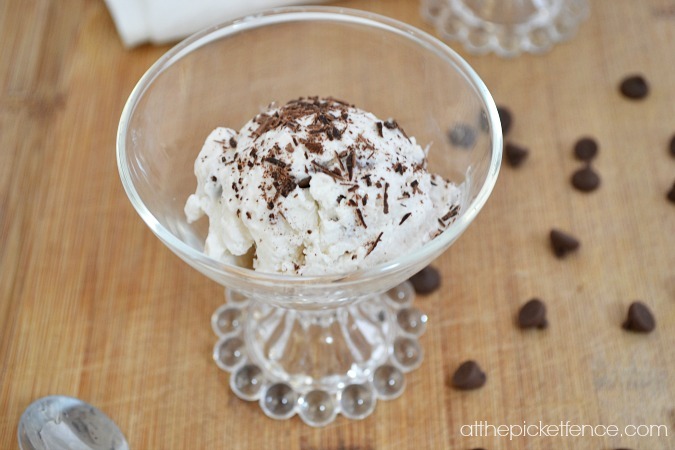 My husband likes it the creamier the better……….so this will be right up his alley. This is interesting, because I had a tub of Greek Yogurt in the back of the fridge that got too cold and froze. I pulled it out and my husband took some and mixed it with strawberries and said it was “just great”! I might start freezing yogurt to eat with our berries! That looks so good!!! I’m going to try it. OH this sounds SO good!! And simple to make too! I have to say I DO love cake (and just about every other dessert!) but also love the frozen yogurt. I always mix things to make them yummy. I put cereal in my yogurt, coconut in my ice cream, fruits in my yogurts, etc. Makes for great textures and good flavors. I’m with you- I would eat cereal any night for dessert over cake. Growing up I had rice krispies for dessert every evening after dinner. The yogurt sounds great. I will have to try it. Hi Vanessa! I love yogurt and this looks and sounds so good! Love the little container it’s in too. My husband isn’t crazy about cake either…he’d love this!! Yum! I’m with you I don’t like cake either, or frosting – give me ice cream any day! I will have to try this, I bet my kids would love it too. I guess we can still be friends. After all, I really only eat cake to get to the icing! This looks really yummy! YUM! This sounds fabulous Vanessa! I love greek frozen yogurt, I’m going to have to give this a try! I love this idea! Such a great (and healthy!) 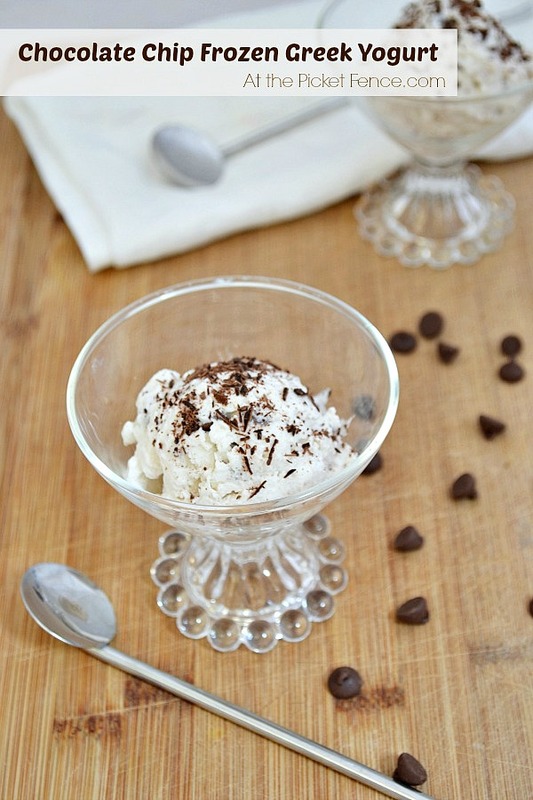 alternative to ice cream that even my kiddos will love! Thanks for sharing the yummy recipe, Vanessa! Does this need the honey? I’m not really a fan of honey.